Books have been such a constant thread in my life. It’s hard to remember a time before I could read, let alone tease out the one book that made me into a reader. When I follow the thread back I think about what it means to be a reader beyond the functional, nuts and bolts ability. For me, it’s that capacity to inhabit another world, in partnership with the author or illustrator. To melt into a story and feel it living through you. This starts in a place long before independent reading for those children lucky enough to have access to books. I was one of the lucky ones. My mum, so often busy somewhere else, or so it seemed to a young child with three siblings, was there at one crucial time to read us a story: tucking in. 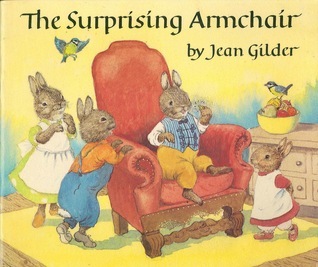 We must have read hundreds of books, but if I reach back in my memory, I come to The Surprising Armchair by Jean Gilder. The story is simple: two bunnies walking in the woods come across a strange (and we later discover magical) house shaped a little like a mushroom. Inside is a woman who sells them a large armchair. When they bring it home they discover it has magical properties. Whoever sits in it and declares it comfortable finds the thing they need down the side of the chair. These gifts–a knitting needle, a sewing kit, a recipe book–are more than just objects. They spark the rabbits’ creativity as they knit coats, sew dresses and cook delicious food. Why did I find this book so special? Partly, of course, it was the illustrations. They’re woodsy and whimsical, speaking of a landscape of brambles and autumn leaves, which appealed to me hugely. I wanted to live in a thatched burrow-cottage that seemed to have grown from the surrounding woods, furnished with patchwork quilts and striped rugs. But I think it was more than that. The Surprising Armchair spoke of warmth, safety, and the beauty of the natural world. It also held the magic of ideas bursting into life when given the right tools. The potential of creative work as a gift, as an expression of love, is also threaded through the story. I never forgot it and when my mum found it in a box of old books I read it to my own children too. As I got older, I moved on to reading by myself and books became one of my biggest passions. I read everything from The Animals of Farthing Wood to Stephen King, the Saddle Club to Catherine Cookson, not caring much what I read as long as it was something. We were lucky to have access to local libraries and visited them regularly. I can still remember their smells and layouts, the little cards in the front of the books and the thud of the librarian’s stamp. When they get switched on to books, children can go through far more than most families could ever afford to buy or store, which is one reason libraries are critical. I’m so grateful for all those stories and to the long line of authors and illustrators who created them. What an incredible gift they were. Karen Gregory is a graduate of Somerville College, Oxford, and a project manager by day. Karen wrote her first story about Bantra the mouse at the age of twelve, then put away the word processor until her first child was born. Karen lives in Wiltshire with her family. 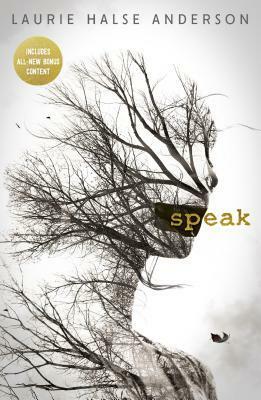 Her debut YA novel Countless is out now, and her second YA, Skylarks, released May 3, 2018.